In Louisiana, the weather is almost always riding weather (or if not, give it a day or two) and more motorcyclists are hitting the open roads than ever. With the influx of motorcycles on the streets, accidents are inevitable. 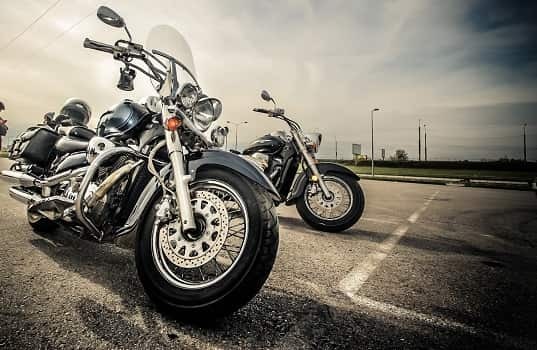 If you are a motorcyclist, there are certain precautions you can take to prevent your odds of being injured in a Metairie motorcycle accident. While it’s obvious, it is worth reiterating - Motorcycles are less crashworthy than other types of vehicles. Unlike a passenger car, where a person is enclosed in an armor of metal, there is nothing to protect the motorcycle rider in an accident, other than a helmet and the appropriate riding gear. Motorcycles are also not as visible as larger vehicles, making them more prone to crashes caused by other motorists. Drivers often do not see motorcycles either because they are riding in their blind spots or the drivers are just not paying enough attention, leading to a Metairie motorcycle accident. You can take certain safety measures to reduce your chances of getting into a motorcycle crash. Use the appropriate safety gear, including the proper clothing, eyewear, and footwear. Always wear a helmet. In Louisiana, the law requires all riders to wear motorcycle helmets. Use a helmet that meets a high protection standard. Allowing at least 4 seconds of follow time behind a motorcycle. What are minor inconveniences to motorists, such as potholes, uneven roads, and railroad crossings, can be serious for motorcyclists. Therefore, motorcyclists need enough room to change their speed or adjust their position on the road. Check your mirrors before making lane changes or turns. Again, motorcyclists can be hard to see and are often hidden in blind spots. Don’t share the lane with a motorcycle. This is a dangerous practice and could lead to an accident. By following this important safety advice, it is possible to avoid a Metairie motorcycle crash. If you have questions about your Louisiana motorcycle accident case, you can download a FREE copy of Loyd's book, The Quick Guide to Louisiana Accident and Injury Claims from our website. You can also contact Loyd’s office by filling out a contact form at www.TheInjuryQuiz.com.